Kevin Costner, Maria Bello and Carlos Pratts star in the sports drama McFarland, USA. Watch the movie trailer below. 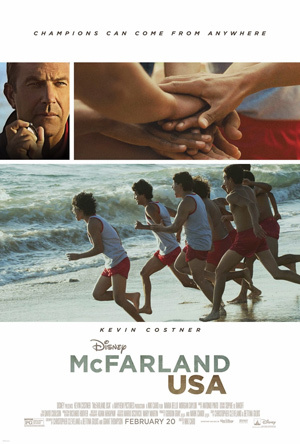 A track coach (Costner) in a small California town transforms a group of young Latino farm workers into a team of cross-country runners. MPAA Rating: PG for thematic material, some violence and language.